If you ask Leslie Villa, Zena Mobbs or Angel Carter, they’ll tell you: Their lives are now much different than they once were. Today, they’re living up to their full potential with the help of programs from United Way of Metropolitan Dallas. With the help of their community supporters, United Way is working to better the lives of North Texans by strengthening the building blocks of opportunity — education, income and health — that every person and community needs to thrive. Here are just a few firsthand examples of United Way’s life-changing results. For the last three summers, Leslie Villa has been working on her future. Each year, she’s attended United Way’s Future Focus Camp, a program that helps high school students explore their options and take steps toward achieving their after-graduation goals. For two weeks each June, the camp hosts 60 students, providing them with in-depth career exploration, field trips that expose them to different industries and career opportunities, and group sessions with professionals that help them build their job skills. When she began the program, Villa wanted to become a pediatrician. But she learned something about herself that first year. 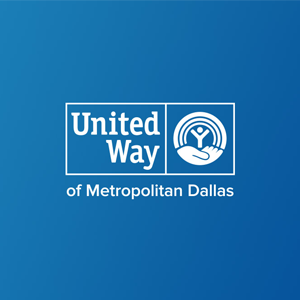 United Way of Metropolitan Dallas has ambitious educational goals for 2020. By then, it aims to have 60 percent of North Texas high school graduates prepared to succeed in college or a career. The current figure stands at 42 percent, but, by helping unite the efforts of organizations, donors, and volunteers, United Way is already making progress. This fall, Villa will attend Babson College in Boston, which is often ranked as the most prestigious college for entrepreneurship in the U.S. When Zena Mobbs moved from Mississippi to Dallas for her relationship, she had high hopes. But when that relationship went bad, so did her situation. With the help of United Way and Viola’s House, Zena Mobbs and her daughter are moving on from homeless and poverty. Then Mobbs found Viola’s House, a United Way-supported program that provides temporary housing to expecting teens facing homelessness. The program supplies basic needs like food and shelter as well as counseling, education and training to help participants make enduring positive change in their lives. One in three Dallas County children grows up impoverished, so United Way supports programs that give community members a chance for a more prosperous future. Again, the organization has set a bold 2020 goal, that of helping 250,000 individuals move out of poverty and onto the path to financial stability. Since the birth of her daughter, Mobbs has high hopes once again. Angel Carter vividly remembers the worst day of her life. The social worker. Her terse words. The shocking realization that her 3-year-old son was being put into foster care. Carter had been battling a heroin addiction for nearly a decade. But losing her son was the last straw. “That really cut me down deep,” she confesses. Angel Carter credits Nexus Recovery Center with giving her the support she needed to overcome addiction and heal both herself and her family. Then Carter discovered Nexus Recovery Center, a United Way-supported program that specializes in the treatment of substance abuse for women and teen girls, many of whom are pregnant or caring for small children. Each year, the program puts nearly 2,000 women on the road to recovery by providing family counseling, parenting classes, skills training, onsite child care and more. It’s also one of the few treatment programs to allow mothers to bring their children with them. By 2020, United Way aims to help even more North Texans live healthy, productive lives. Since 2010, the organization has served over 340,000 community members, connecting them with programs that promote healthy living, prevent family violence and provide much-needed physical and mental health care resources. Carter has now been clean and sober for a year, is employed and has regained custody of her son. She credits the program for giving her life back. “It’s taught me how to live again,“ she says. Villa, Mobbs and Carter are just a few of the people whose lives have been transformed thanks to efforts made by United Way. Families all over North Texas are breaking cycles of poverty, poor health and lack of education thanks to heartfelt community support. Give. Advocate. Volunteer. To learn more about United Way’s ongoing efforts to create lasting change — or to be part of that change — visit unitedwaydallas.org.